I’ve been running competitively for the past six years. My Taekwondo studio that I went to in the past shut down, and I needed to find a new sport. I decided to join my high school cross country team along with the rest of my friends. Running after school in ninety degree-plus weather is not fun. Coming home after practice to study for an exam, then getting up to do it all over again becomes a difficult routine. On the other hand, hanging out and challenging my other teammates was fun. It was worth it to see all of our hard work pay off come race day. Over time getting yelled at for wearing short shorts grows on you. Hearing “run forrest run” becomes an old joke. Even after complaining about all of the mileage, I admit that the sport became addicting. In a good way. I’ll illustrate what a regular year of competitive running is like. I joined cross country right at the beginning of the school year, which means my freshman year I didn’t have summer training under my belt. I didn’t understand how important it was, or how it could be used to dramatically improve your times. Summer training represents a fundamental lesson for any area of your life other than running: You get your results out of what effort you put into it. You’ll also use this time to set what goals you want for the season, whether it be to make Varsity or qualify for a competitive meet as a team. If you train with a half hearted effort, you’ll get mediocre results. Study for a test with 60% of your attention and you’ll aim for a 60% test grade. Summer training should be approached with a tenacious mindset. Work hard and smart, head into the season knowing that you’ve put in the effort. You need to focus on being persistent. You won’t see your results after a few days into your training. Only after months past by you will see a sign of improvement. After you put in the hard work, you’ll want to show off your progress. After summer training, the season starts and you’ll be surprised at how your fitness has improved. If you were being persistent the results will unfold itself. It’ll be different for everyone, you may have your best race in the beginning of the season or the end. It’s an amazing feeling to have a huge PR for a race. You put in the hard work, kept at it, and it paid off. If you gave up at any point in your training, it’s unlikely the hard effort will show. If you spent all of your effort into video games you won’t take care of your priority…unless video games are your priority of course, then go get after it. After it’s all said and done you’ll want to gather yourself and take some time to review the season. Go down your list of goals and see which ones you accomplished, mark the ones you missed. Take the time to draft new goal ideas to take into next season. Ask yourself if you put in the hard work. Look back and see if you were being persistent. A lot of the times people will give up right before they have a huge breakthrough. 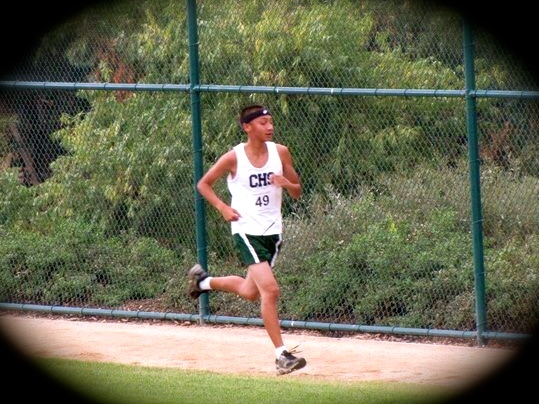 A goal I shared with the rest of my high school team was to qualify for CIF (playoffs for runners in California). My junior year we failed to qualify because we were beaten by one point. The rest of my team and myself, kept each other accountable. We wanted to make sure this wouldn’t happen again, but unfortunately by the next year we failed. This time it was because of two points. I know to hold a tenacious mindset. I understand to the importance of being persistent. I use this failure in high school as fuel and motivation. This moment serves as a source to carry through my collegiate years of competitive running. Like any failure, it should be viewed as an opportunity to improve. Find a way to bounce back. Don’t give up.